Metadata, tagging, content modeling … they’re not identical concepts, but they’re driven by the same basic principle: when you structure your digital information, it can be more easily searched, reused, connected, shared, and analyzed. If you’re new to structured content, where should you start? 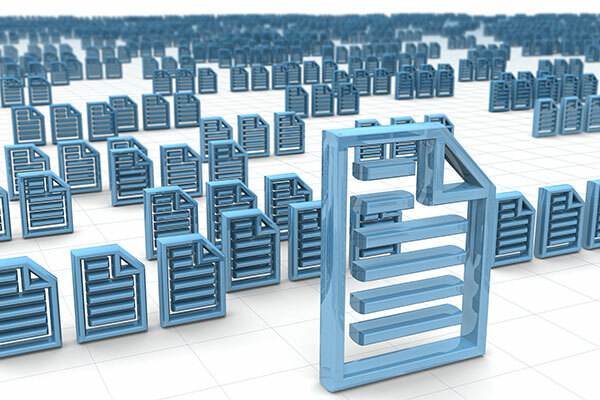 Ideally, your metadata strategy will be part of your overall content strategy. In practice, however, a lot depends on your agency’s culture, its technical resources, its existing practices, and the state of your content. At one end of the spectrum, you might have little to no formal structure around your digital content, and you’d like to add metadata to help you manage it more dynamically. At the other end, you may have well-developed metadata but want to rethink the overall content architecture as your product line expands and diversifies. On the business side, you may have strong buy-in, or you may need to sell the idea to managers, authors, or both. To learn about real-world approaches to content modeling in government, we spoke to two colleagues about their projects: Sally Dadjou, Public Affairs Specialist at the Department of Health and Human Services (HHS), and Lynn Cheryan, Associate Creative Director of User Experience at the National Cancer Institute (NCI). At HHS, Dadjou’s team manages content centrally for the department’s main website, HHS.gov, receiving updates from authors and posting them. Without strong metadata, it was inefficient to change the site or respond to new technologies. “We keep having to reinvent the wheel every time a new device comes out or every time there’s a new way we want to present content,” Dadjou said. In an effort to develop a method to future-proof their content, Dadjou and her colleagues interviewed stakeholders across the agency, as well as industry thought-leaders internal and external to the federal government. The goal was to understand how to best prepare HHS content for the future. The conclusion was that structured content and smarter metadata would help get them there. A team of content managers and technical experts identified eight initial content types and began developing them. “We had to put something into play to see how it worked,” Dadjou said. The blog content type has already been implemented, and the eight new content types—including article, leadership bio, speech, homepage billboard, and alert content types—are scheduled to be implemented. It was initially challenging to get management backing “to touch all of the content on the website that was kind of fine the way it was,” she said. 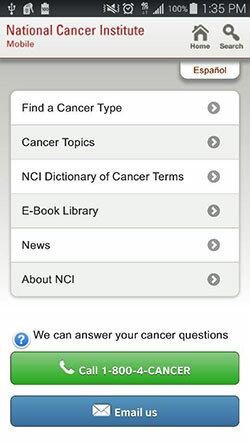 At NCI, a responsive redesign of Cancer.gov was the impetus for improving content structure—content needs a consistent structure to work properly on a responsive site. Some content was already well-structured, but other material on the site did not have consistent structure or metadata. Since content on Cancer.gov is not centrally managed, that adds to the challenge. NCI managers backed the project from the start. The challenge, Cheryan said, has been educating authors who are distributed throughout the organization and are used to publishing directly to the site. NCI started small, working with staff to expand the structure as new needs emerged. When the current CMS was launched a few years ago, they started with a basic set of content types, but the responsive site will require more formal and consistent structure as does optimizing content for social sharing. “It’s not like we created this grand vision that said, ‘here’s all the structure we’re ever going to need,’” Cheryan said. She also cautioned that it’s possible to create an overly complex structure. Dadjou and Cheryan will discuss their projects at the upcoming DigitalGov University webinar Where to Start with Structured Data and Content on March 31st at 2 p.m. EST. If you want to learn more about structured content, you can also join the cross-agency Open and Structured Content Models Working Group, coordinated by GSA. The group created models for two common content types—articles and events—to help government agencies publish consistently across different platforms and has offered webinars and workshops on content modeling. Lynn Cheryan is a contractor from Sapient Government Services working closely with Lakshmi Grama, Acting Associate Director, Office of Dissemination and Digital Communications, Office of Communications and Public Liaison at NCI.